OEM Manufacturer of a wide range of products which include kitchen bain marie hot, bain marie table top, mobile dry heat bain marie, mobile bain marie, mobile bain marie with hot case and bain marie. Bain marie are tested as per the international standards of quality. Cool Star customize these products as per the requirements and needs of our esteemed clients. 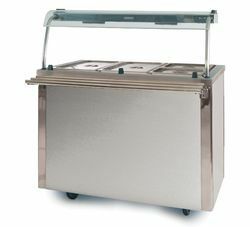 Kitchen Bain Marie Hot generally used for the display of food at parties and can keep food fresh for 5-6 hours and as well as on industrial canteens for staff and labours. 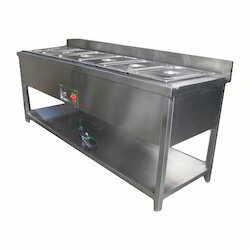 We are the leading manufacturer and supplier of Bain Marie We offer these products at industry leading prices. These are widely appreciated for robust construction, durability. Our clients can avail these products in various specifications as per their exact requirements. 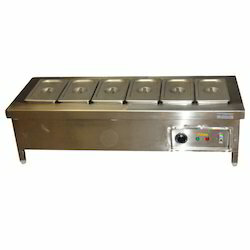 These bain marie are commonly used in the restaurants and canteens for heating dishes. 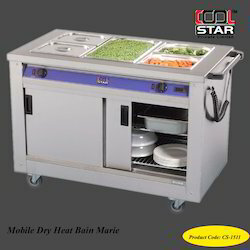 Cool Star are engaged in providing high quality Bain Marie Hot Cold which we supply all over India. The product is widely used in food eateries for making food. Cool Star offer Bain Marie at an affordable market price. Cool Star manufacture the product from fine quality raw material which we obtain from trusted sources. 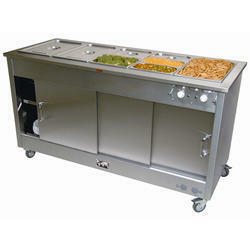 Looking for Bain Marie ?